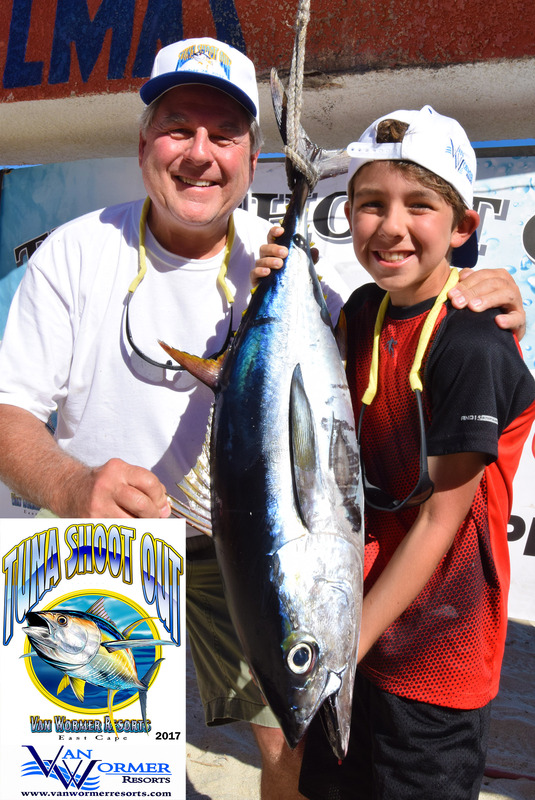 2017 Tuna Shoot Out saw a record 53 teams register to see who would catch the biggest tuna. 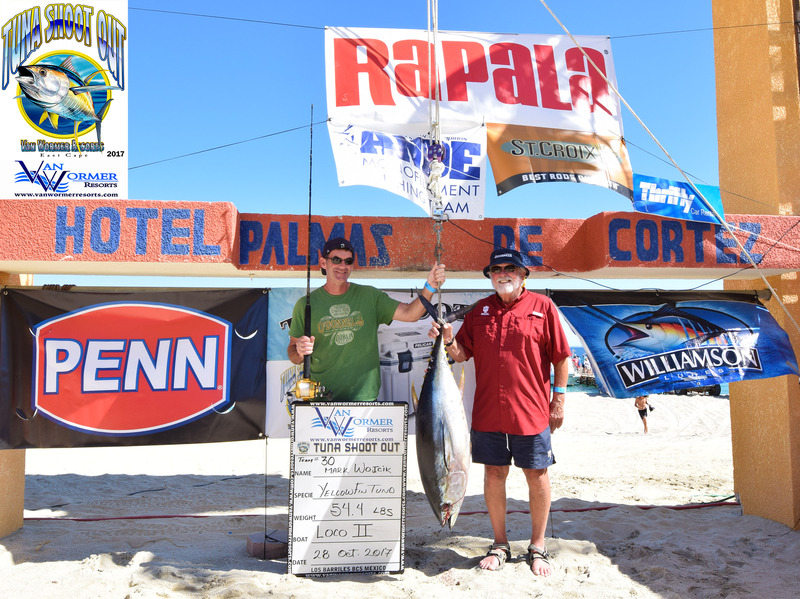 The winning team of Dustin Stumpf (w/Bill Sils, Tim Adams & Alan Stumpf) from Washington fished onboard the Mi Pistola with Captain Danny Marron and Deckhand Raul Marron. 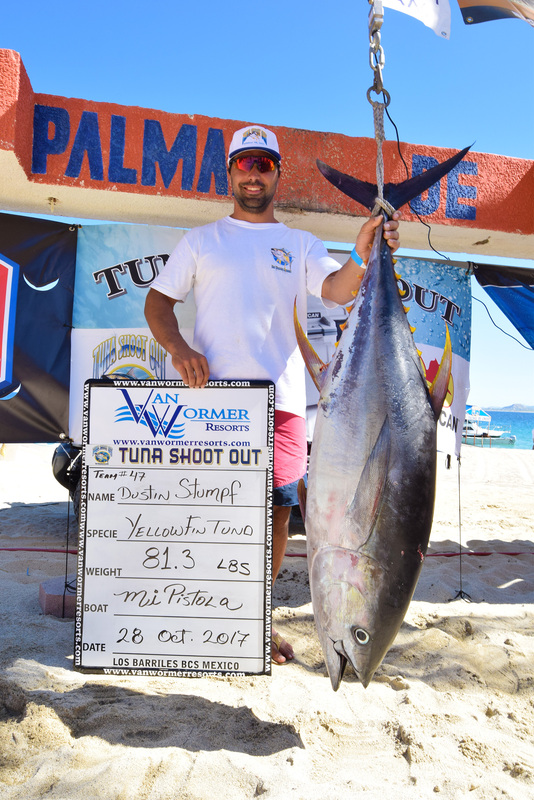 The winning yellowfin tuna weighed in at 81.3 lbs. 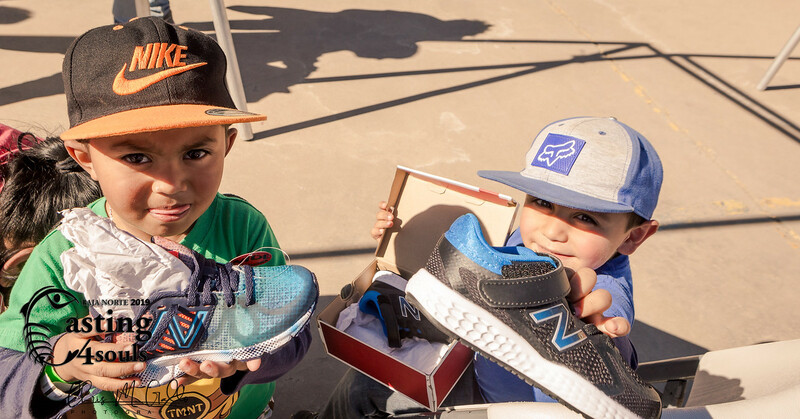 and took the grand prize worth $18,550 USD. 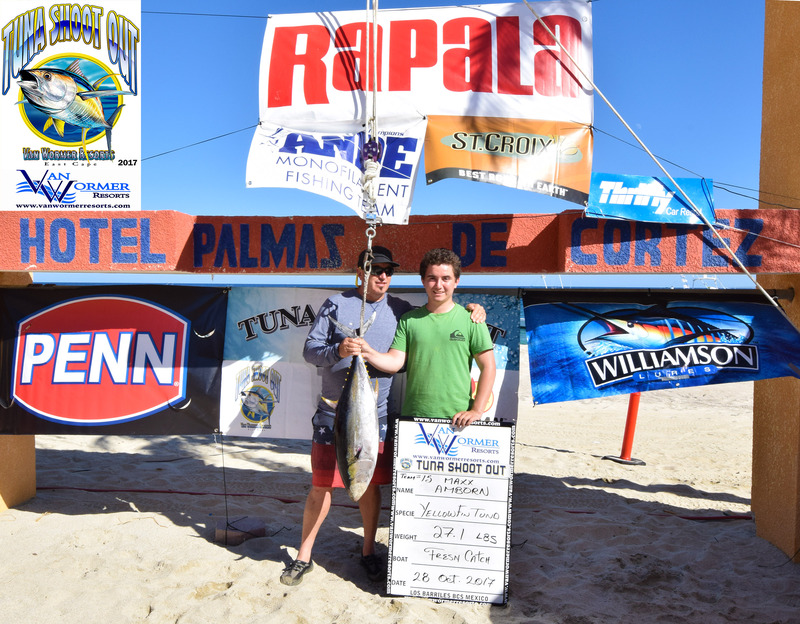 Second Place went to the team on the El Loco II Mark Wojcik (w/ Robert Wojcik) from Illinois with a 54.4 lbs. yellowfin tuna. 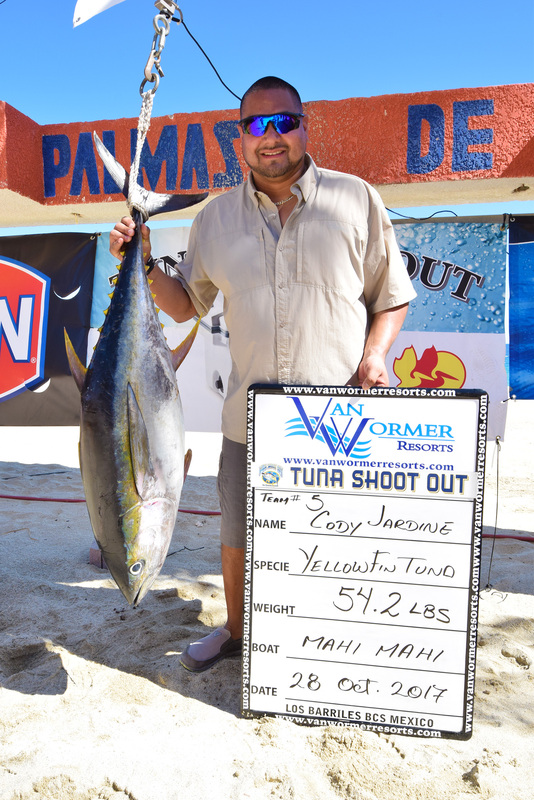 Third Place went to the team on the Mahi Mahi Cody Jardine (w/ Mike Anderson & David Gonzales) with a 54.2 lbs. yellowfin tuna. 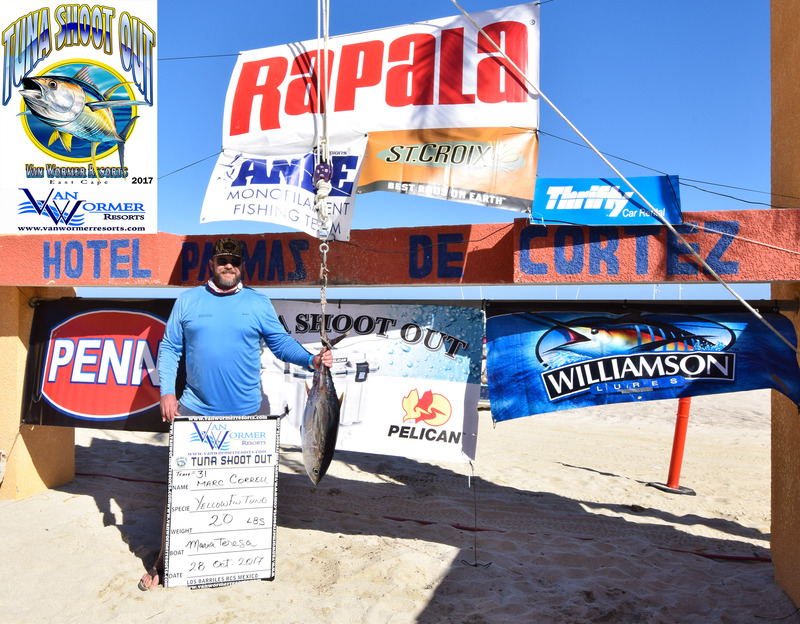 The $300 Jackpot went to the team on the Fresh Catch Maxx Amborn & Ron Amborn from California with a 27.1 lbs. yellowfin tuna. The team won $6,630.00 USD. 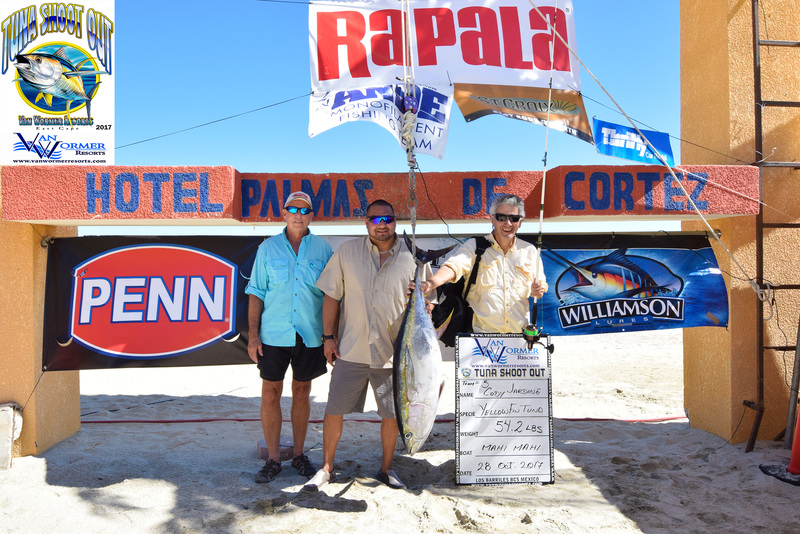 The $500 Jackpot went to the team on the Maria Teresa Marc Correll, Robert Williams, & Israel Castro from California with a 20.0 lbs. yellowfin tuna. The team won $8,075.00 USD. 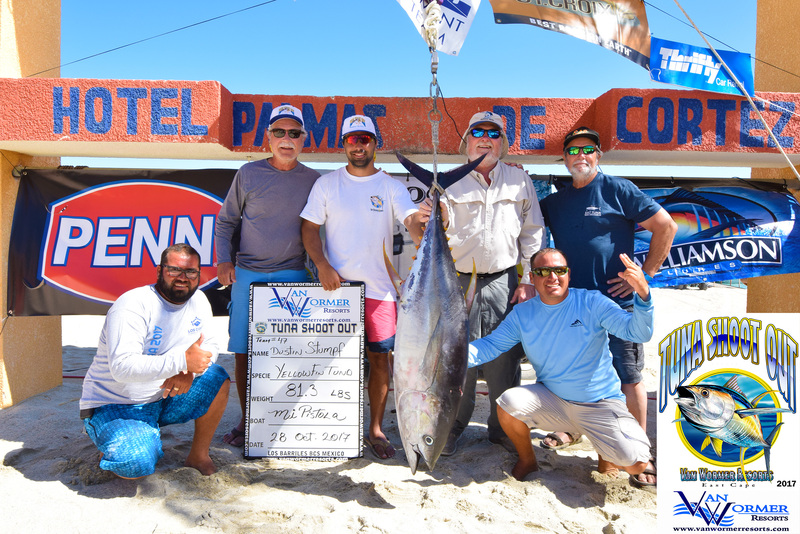 The $1,000 & $2,000 jackpot went to the team on the Don Julio Mike Bernier, Sean Feeney, Brandon Hearn, & Gareth Christensen from California with a 19.9 lbs. yellowfin tuna. 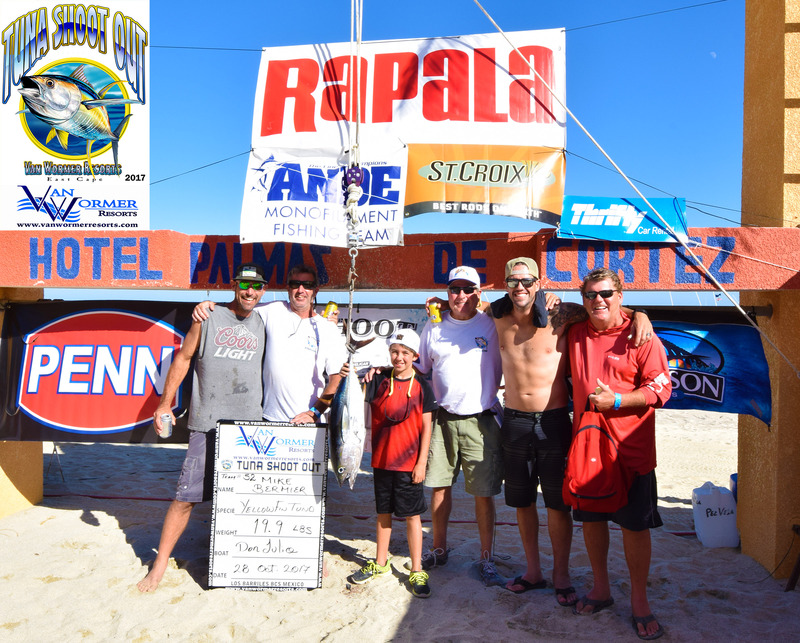 The team ended up being the big winners of the tournament, taking home $21,250.00 USD. 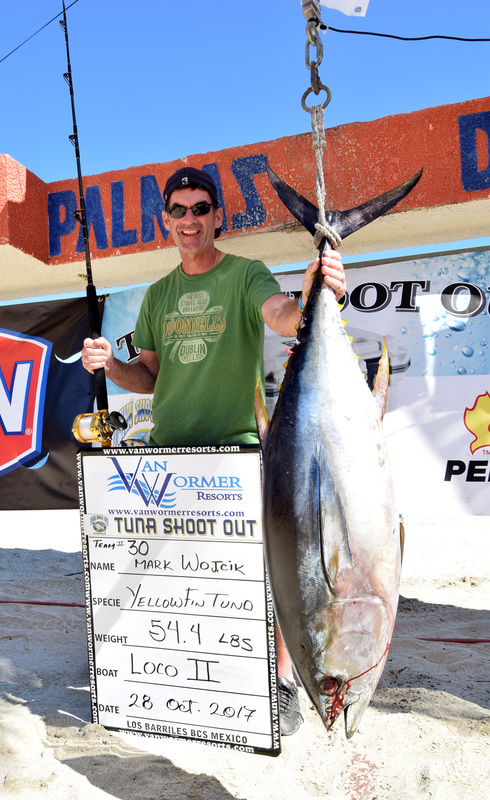 It was a good year for Team Don Julio, as you might remember they were the team that won the Dorado Shoot Out. 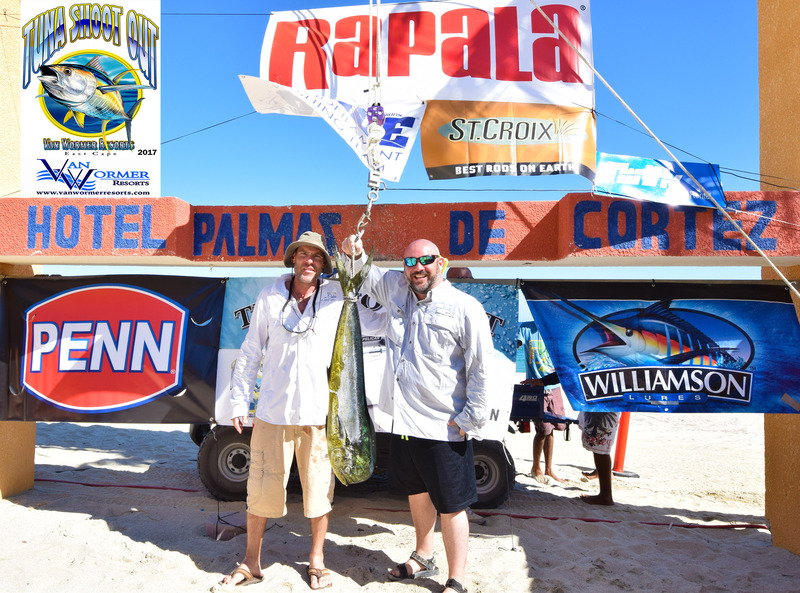 Biggest Dorado went to the team on the Kahlua Frank Guynn (w/ Gage Chariton) with a 14.6 lbs. dorado. 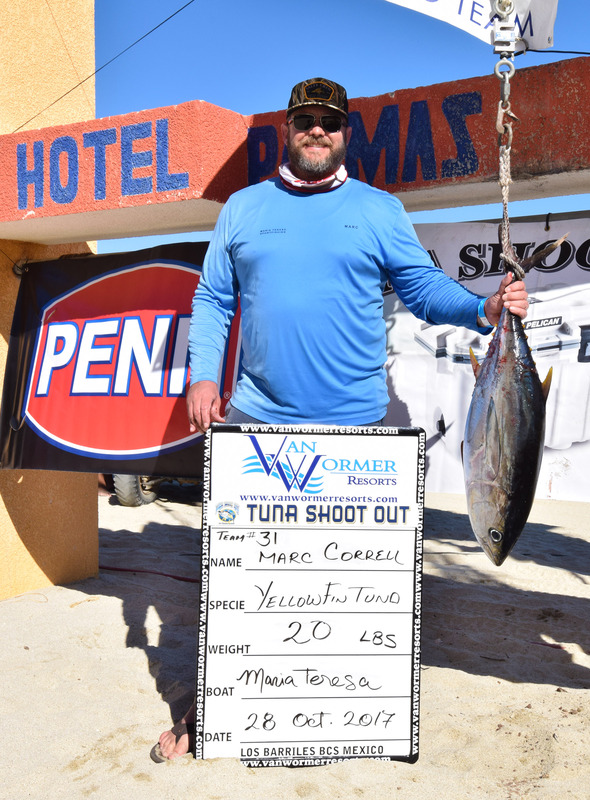 Lot of fun was had by all at the 2017 Tuna Shoot Out. 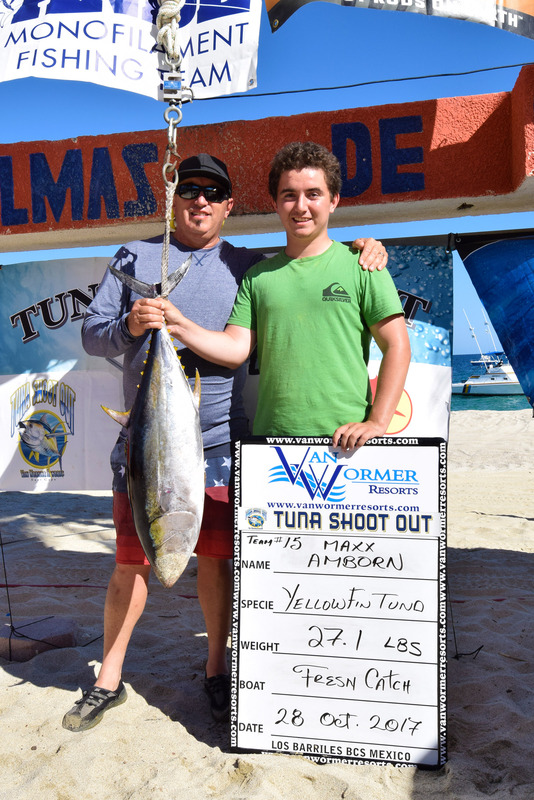 We had a total of 53 boats participate in this year's event, weighed 11 yellowfin tuna and 3 dorado. There was a total of $54,505 USD awarded at this year's tournament. 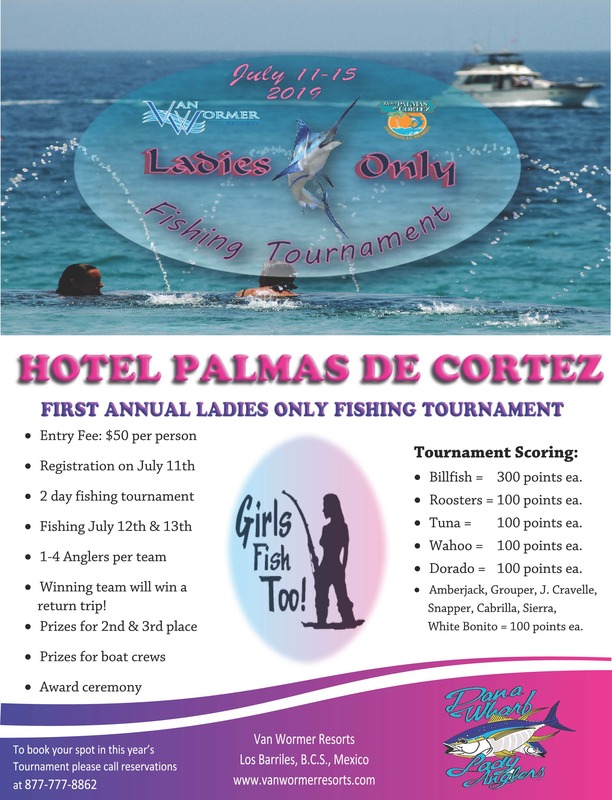 Both the number of teams and prize money were records for this event! We would like to thank all of the participants for making this event the best one yet. We hope to see you all again next year on October 27th when we expect to break these records once again!